A few common shoulder injuries include strains or sprains, torn rotator cuff, dislocated shoulder or shoulder instability. Shoulder injuries can happen on impact while you’re playing sports, have an accidental fall, and even from overuse. If you feel pain in your shoulder, start by resting and immobilizing your shoulder with a brace or sling. A shoulder brace will help give your shoulder extra support while helping minimize the movement while you seek medical advice or begin your recovery. 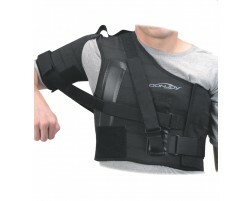 Whether you want to prevent a shoulder injury, currently have an injury, or are looking for post-operative shoulder support, a shoulder brace will help provide the support and stability you need. A shoulder brace limits the range of motion in your shoulder which helps reduce rotator cuff injuries or shoulder dislocations. 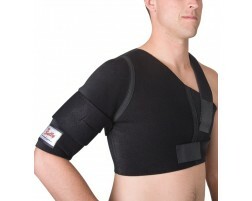 Many of our shoulder supports can be worn during sport to help prevent over-rotation. As with any injury or post-workout recovery, icing has many benefits. 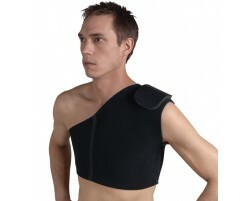 Check out our selection of cold therapy products specific for the shoulder.